Hey! Did you know there is a national swap ideas day?? I just found this out and it kind of sounds like the best holiday for us creatives! So of course I said yes to a blogger swap with some other fabulously talented ladies (keep reading to see what was swapped and where). This swap was office inspired so I bring you…. 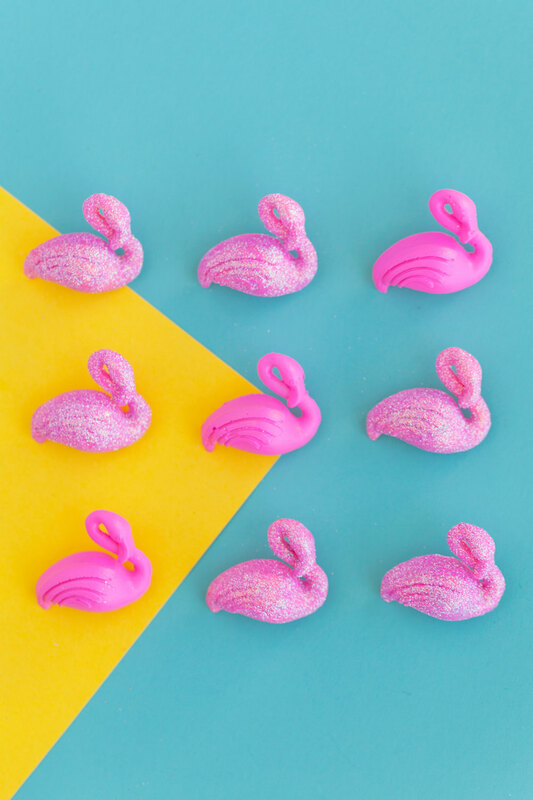 glittery flamingo push pins! My obsession with flamingos runs deep! Ask anyone that knows me since elementary school, because I have loved them for that long. NO joke! So now that they are trendy I can scream it from the roof tops ha ha or just make DIY’s that involve flamingos. 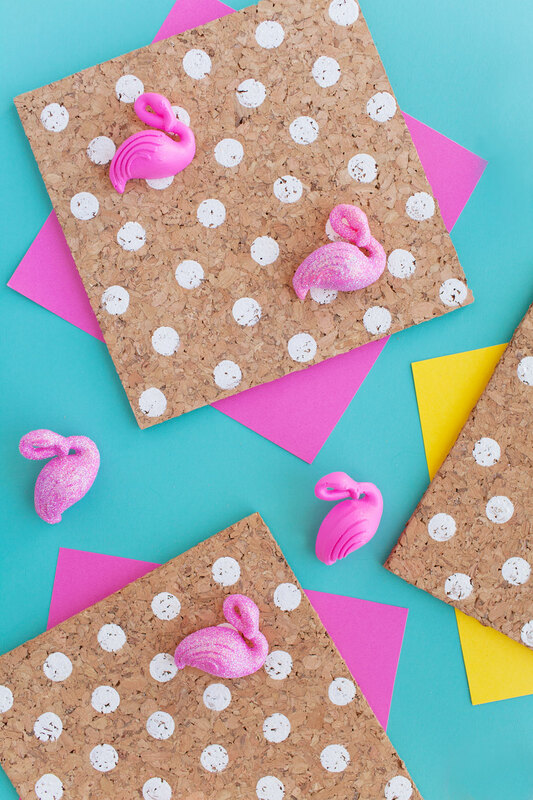 Either way I am excited to share these DIY flamingo push pins. They are super simple to make AND what I used to make them is something all you crafters have laying around. 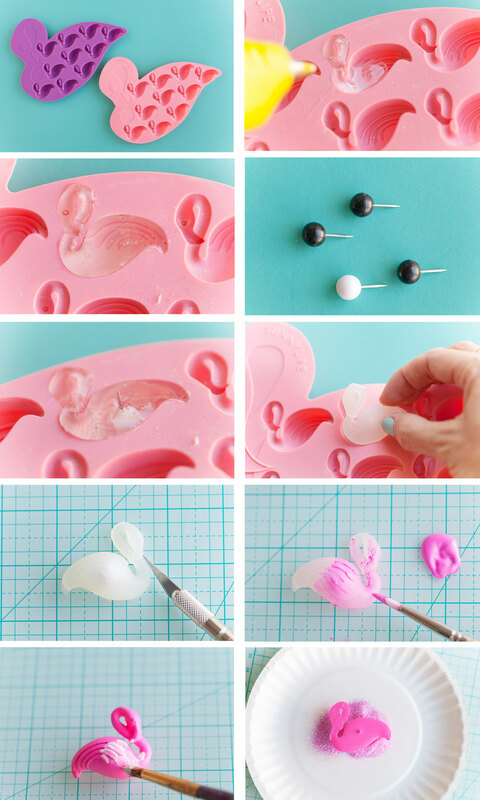 -Take your glue gun and fill in the flamingo molds. Its best to fill it so much it is on the verge of overflowing. That way all the spots are filled. Be sure to fill slowly so you don’t cause too many air bubbles. -Take your push pin and put it in the wet glue. Keep checking on it and make sure it stays upright, because they tend to lean. -Once it’s completely dry, pop it out. -You can take an x-acto knife and cut off any excess pieces and make it more smooth. -Paint the flamingo. You will have to do a few coats. -Once the paint has dried, paint on some mod podge. -Stick and roll in the glitter till its covered. 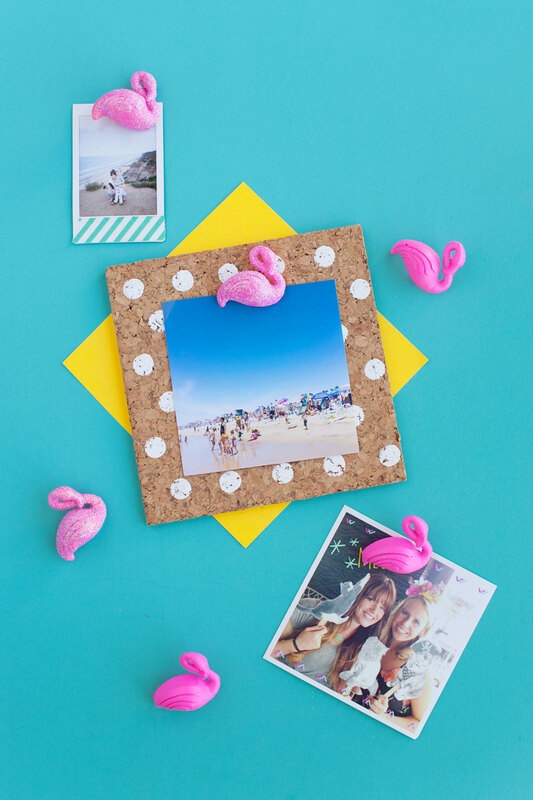 -Now take your sparkly fun flamingo and hang some cute stuff. 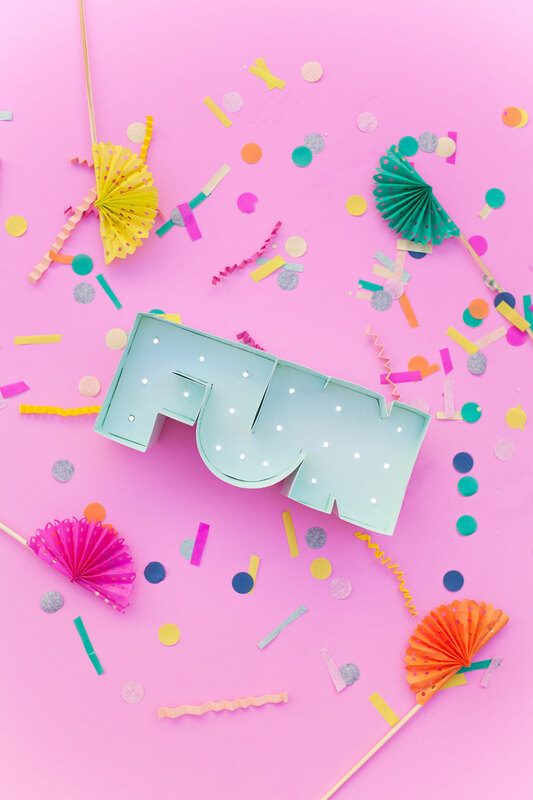 You have to see the amazing mini marquee lights I received from A Joyful Riot. Seriously guys…I’m kind of obsessed! Check out the DIY here. Be sure to see the other amazing projects and what was swapped! 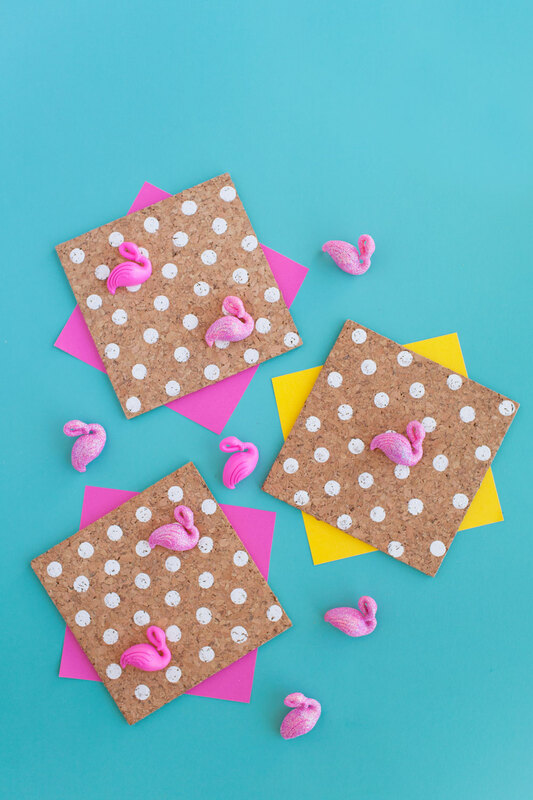 Okay, so cute and seriously what a fun craft! I keep thinking of all of the possibilities! Who knew silicon and hot glue were such buds. So happy to have been a swapper with you to be introduced to your darling self and blog! I know ha ha, I want to make a million different kinds ;) You were the best swapper Thanks!! These are SO awesome! You just keep killin’ it and I just love these. This is so great!!! I’m going to make some today. Adorable! Push pins made from ice cube trays? This is why I’m not a DIYer — I’m not that creative! This is amazing. Im blown away how you come up with this stuff…love it all! Oh! And you changed your name! It looks great!! Thanks Brooke!! ha ha I know!! so many changes but It’s all so exciting. I love flamingos!! :D :D This is an amazing idea! 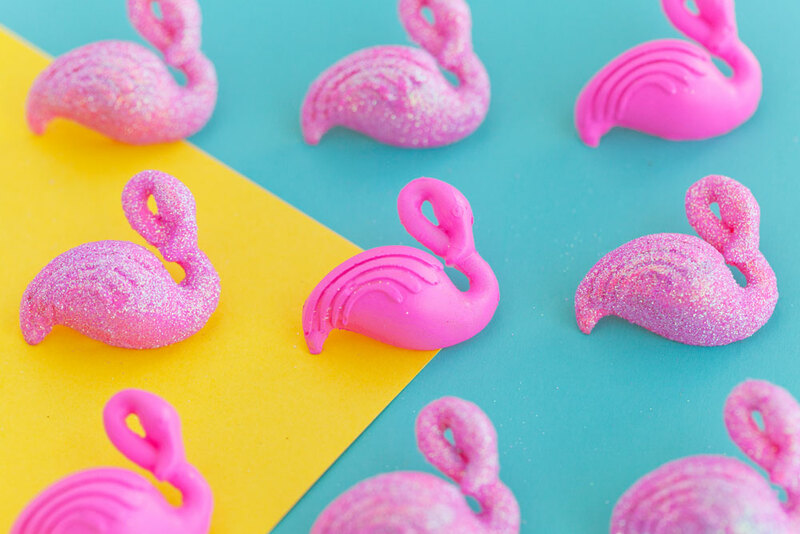 I’m going to buy Flamingo Silicone Ice Cube Trays ASAP!